Announcement FREE SHIPPING! When you spend $21 or more! Use code: SHIPFREE at checkout. Like & Follow us for more adorable items. Welcome to New Baby Boutique, a brand famous for stylish baby outfits and baby shower gifts. 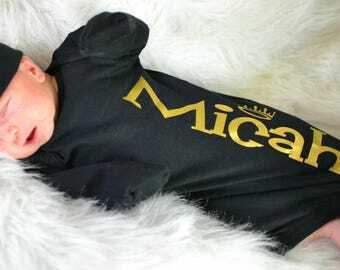 Our brand was created to bring your precious bundle of joy soft, high quality and vibrant baby wear. We are excited to help you create fun memories with your baby. Every item at New Baby Boutique is designed to please! Our collection abides by the belief that babies should always be snuggled, comfortable, safe, and free to do what they do best: play, sleep and thrive. Many of your questions can be answered in our FAQ located at the bottom of each listing or the bottom of our shop. If you don't see an answer to your question feel free to message us and we would be happy to help you! Check the FAQ for a special coupon code for new customers! Check out our other shop All Ribboned Out to find high quality personalized embroidered items where we have over 7,500 successful sales! FREE SHIPPING! When you spend $21 or more! Use code: SHIPFREE at checkout. Like & Follow us for more adorable items. 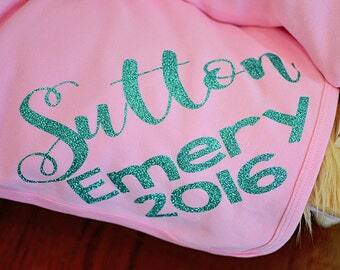 Specializing in personalized name gowns! 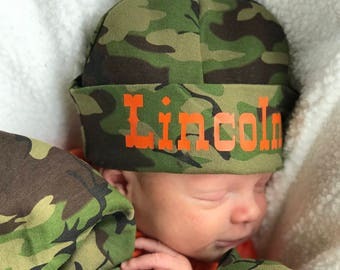 Perfect Newborn baby take home outfits for your new "Little Man"! Let the world know your new little has arrived! 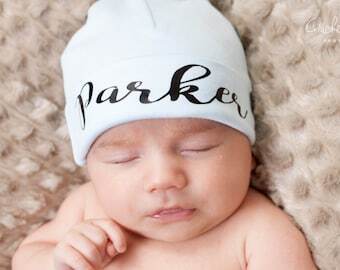 Personalized hats, gowns and blankets for that new baby boy! So sweet! 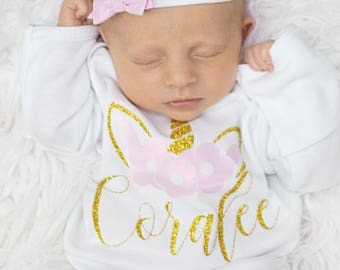 Personalized name blankets, gowns and hats for her! Adorable, Affordable, Quality Baby Clothes, Buy Now. Military Veteran owned company. We have 9 children and have cared for over 150 foster children. We understand the unique struggles families face. Our greatest desire is to take the guess work out of dressing your new baby. Who doesn't love new babies? 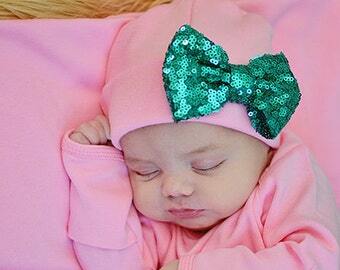 New Baby Boutique was created to bring your precious new bundle soft, high quality items. 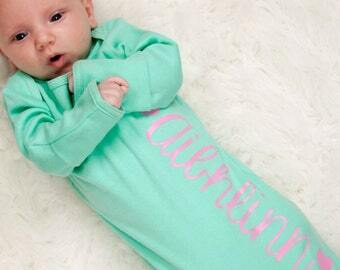 Every item at New Baby Boutique is guaranteed to please! 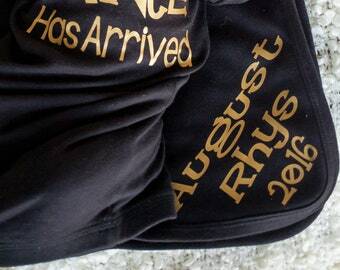 Check out our other shop All Ribboned Out to find high quality personalized embroidered items. We've been selling on Etsy since 2009 with over 7,500 sales! My family is my first passion. After that I love to create. I opened my first Etsy shop in 2009. We opened this shop in Oct 2016 to specialize in babies!